Getting the Most Out of Guest Blogging? One of the reasons that guest posting on other blogs has become so popular is that it often offers the best kind of inbound link to your site: a do-follow, contextual link from a relevant, important site. In this post, we will explain what a do-follow link is, why it is important, and how to determine whether your guest host is really providing do-follow links. Many of you already know what a do-follow link is but, for those that do not, here is a an explanation of a do-follow link and why it is important in your website promotional efforts. The concept of a do-follow link did not exist before 2005. At this time, all links were the same and they were all “do-follow” so there was no need for a name. It was not until the introduction of “no-follow” links that links needed to be identified as “do-follow” or “no-follow”. No-follow links were originally introduced to prevent comment spam. As people had realized that comments on blogs carried a lot of weight with search engines, they began spamming comments to elevate themselves in the search engines. The introduction of no-follow put a big dent in comment spam, though it still exists to great extent today. People soon realized a further value in no-follow and began implementing it to sculpt page rank. Essentially, they would no-follow most of their outbound links (except their own!) to look better in the eyes of Google. Now, as people seek to promote their content, we find them continually asking: “Does this site provide do-follow or no-follow links?”. Does Guest Posting Provide Do-Follow Links? As we look at submitting guest posts to other blogs, we need to know if that host blog provides do-follow links. It might just be a determining factor in our decision to submit a guest post to them. So, let’s take a look at the difference between do-follow and no-follow in the next paragraph. Can you find the do-follow and no-follow link? In an article entitled How To Check Whether A Link Is Nofollow Or Dofollow?, the author mentions a good Firexfox add-on to quickly determine if a link is do-follow or no-follow. Well, did you get it? As we can see in the photo below, where I use a Firefox add-on to quickly highlight no-follow links, the link to the Firefox add-on is the no-follow link. Using the Firefox add-on mentioned above (and there are many others that do the same thing), you can easily look at guest posts on a blog to determine if they provide do-follow links to the people who are submitting a guest post. You need to be careful because many of these guest hosts want your quality content but do not provide a do-follow link in return. Fortunately, you now have the tools to determine whether a link is truly do-follow. Many people have realized that Ultimate Guest Blogger is the best guest blogging solution on the market for numerous reasons: one account, automatic article approval, contextual inbound links on high PR blogs, simple to use, speed of publication, and all at an unbelievable price. And, if you need another reason, here it is: do-follow links! 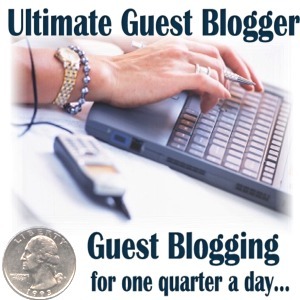 Ultimate Guest Bloggers are permitted do-follow links within the body of their guest post. This is absolutely the best kind of link, contextual and do-follow. It is exactly what the search engines are looking for and the best way to enhance your online presence and rise in the search engine results. You have a choice: you can be a drab, regular guest poster toiling away to get one guest post published or you can unleash the power of guest blogging and become an Ultimate Guest Blogger. The choice is yours.